Plot Synopsis: When Wesley Crusher is condemned to die on an idyllic, primitive planet Captain Picard must face breaking the Prime Directive to save the boy’s life. 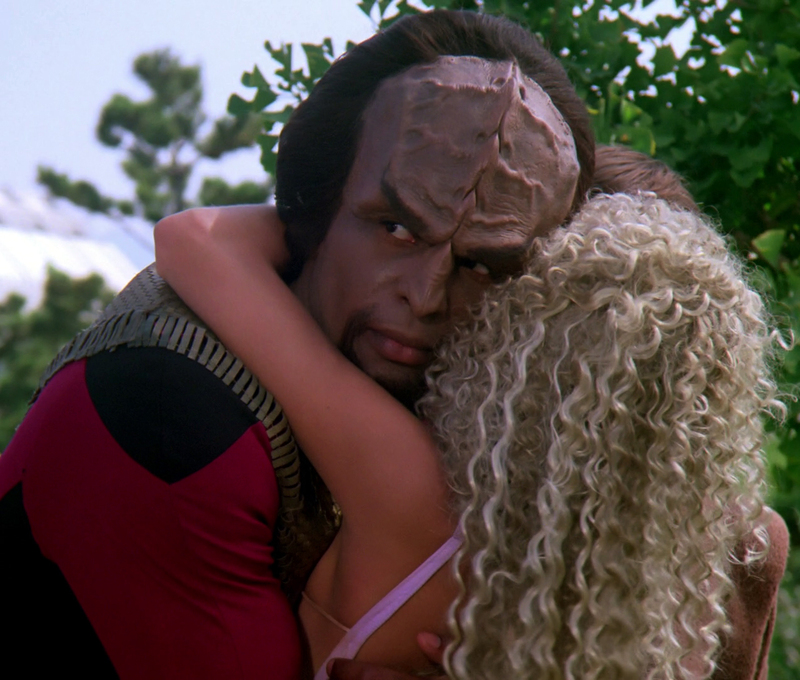 Plot A and B Analysis: The teaser here is alright: we found a new planet and it’s gorgeous, full of beautiful, scantily-clad horny people with 80’s hair, and can we please authorize shore leave for the crew? Oh and there’s a cloud in orbit, that’s kinda weird. Plot A here revolves around the Edo, the Prime Directive, and difficulties with saving someone’s life, there is no plot B. Not long after the crew lands on a planet filled with some of the most innocent–yet openly sensual–people ever, we find out that cloud is actually some trans-dimensional space ship. Things go downhill quickly as the away team loses contact with the ship and Wes breaks a law by ‘disturbing new plants’, the punishment for which is….death! 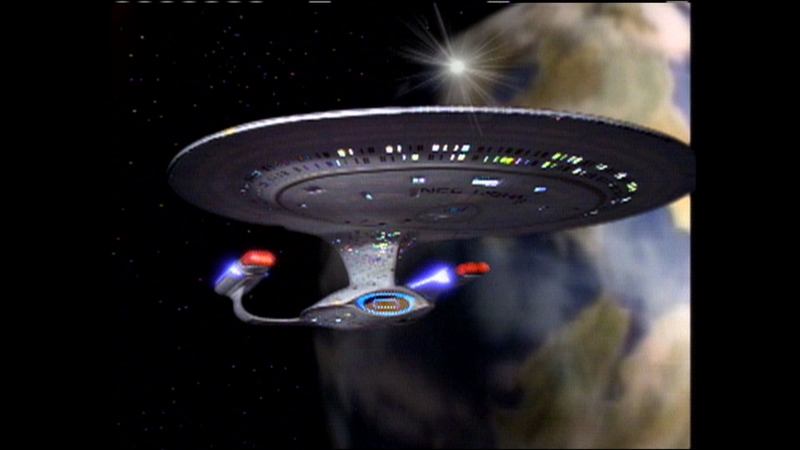 Picard beams down to straighten things out, but when he beams up one of the Edo to meet her ‘god’ the alien ship gets pissed. The rest of the episode is a wrestle over whether or not to save Wes, violate the Prime Directive and perhaps get stomped on by the super-powerful starship. It leads to an unexpected conclusion to the episode which could actually provoke thoughtful discussion from the audience watching it. Later in the same conversation where he tries to describe a baseball bat is just as funny. You’ve just got to see it for yourself. The scene where Picard and Data talk about “babbling” is pretty decent also. Use of Cast/Characters: Poor Wil Wheaton gets some of the worst lines this time around. I won’t go over them, but when you watch the episode you’ll see what I mean. Picard and Data have some good scenes, where some character development does take place. Doctor and Wesley Crusher are featured pretty prominently and Tasha, Worf and Troi are also to some extent. Riker doesn’t have much to do here except be annoyed or alarmed, and Geordi probably has less. Blu Ray Version: The first shot reveals what is perhaps the most beautiful planet yet shown–excellent detail, I recommend pausing the video just to study it here and after the teaser, and at the final shot of the episode. For your convenience, click here to see the standard version and here to see the Blu-Ray enhanced version. Nitpicks: My biggest nitpick is that we seem to violate the Prime Directive simply by letting the Edo know of Starfleet at all. Isn’t the idea to prevent folks who don’t have any idea of interstellar life from getting any proof of it? Isn’t beaming down and asking permission to party on their planet kinda doing that? A later episode revolves entirely around this concept, but here it seems to be totally ignored. That glowing ball seems like something straight out of the original series, sigh. Also, the ‘cops’ had selected the punishment zone Wes happened to be at that day, and were gonna kill him, but then after the Enterprise crew stop him from getting killed the cop says “If this zone were still in effect you would all deserve death.” So was the zone in effect or wasn’t it? Also, Picard doesn’t tell Dr. Crusher about Wes’s predicament because he wants to in person, but in the less than 5 minutes between that conversation and being on board the ship she got hold of some report that spilled the beans anyway? Finally, in the 44th minute when Riker sits down you can once again spot the black card on the back of the bridge. Overall Impression: In spite of its flaws this episode is fairly enjoyable from start to finish. This is the first episode where Picard violates the Prime Directive, and you can actually believe it given his choices. It’s got its problems, but some of them (like the dialogue) actually work in its favor, giving you a chuckle. This is also an example of an episode that you don’t see much of later on in Trek: they pushed things for the 80’s, really showing some skin in this episode, and any teenage boy will be happy to watch it with you. This is also perhaps the first episode of TNG where we see one of the hallmarks of the Star Trek universe, indeed one thing that separates it from virtually all other science fiction shows. It deals with social and ethical issues in a way that would be markedly more difficult (and perhaps abandoned altogether) if it wasn’t in a sci-fi setting. This is one of the key reasons I like Star Trek, and why I felt the franchise began to deteriorate after Roddenberry died. Here we deal with capital punishment and religion, and in future episodes many more equally relevant issues will be presented, and in much better ways. Unfortunately this show still feels too close to its original series roots. I will conditionally rate this episode 2 out of 5 stars if the funny lines add to your enjoyment, 1.5 out of 5 stars if they don’t. Behind the Scenes/Trivia: This is the 7th episode aired, but actually the 8th one made. One of the writers of this episode used the pseudonym Ralph Willis because the final product didn’t have much in common with his first draft of the screenplay. Evidently, according to Wil Wheaton, Michael Dorn and Brenda Bakke–who played Rivan–spent some time together partying “Edo Style” during the shooting of this episode, heh. The actor back at tactical who does the weak captain Kirk impression at around the 10-minute mark is Josh Clark. For you Voyager fans, he goes on to play Joe Carey in that series. For those of you who watched Alias, Wil Wheaton says where they did the location shots for this episode occur at the same building you see Sydney blow up in season one. 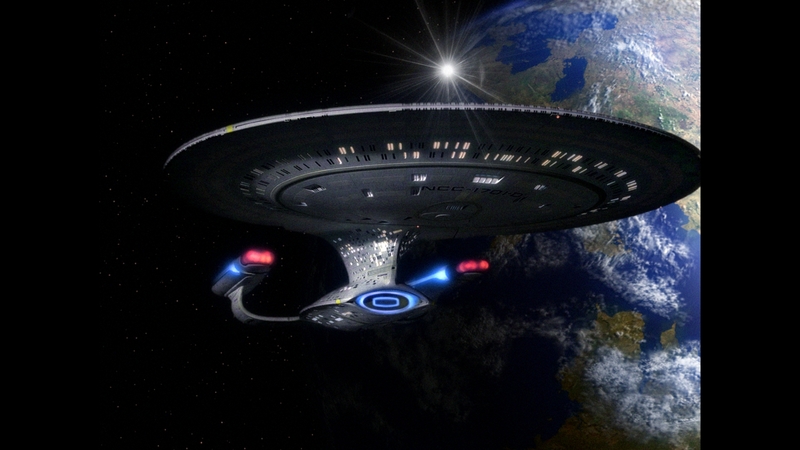 This backdrop also becomes the standard set for Starfleet Academy later on. Finally, if you look close, when the crew first reaches the entrance to the main Edo building, look at the bottom left of the screen and you’ll see the shadow of the microphone boom. Missable/Unmissable? Missable, but it is kinda fun to watch. Much more watchable than the next episode, which is terrible. Alias, yussss! This episode I remember…Don’t they run everywhere, too? heh. That and being scantily clad, other than those I don’t recall much else. Well, the zone was in effect when Wesley stepped on the grass, and it stopped being in effect by the time the cops said that line. Not that it makes the story any better. Again, you have more grace for the story than I do. Well I guess that was my point: it went from being in effect to not being in effect within 5 minutes, from the time they caught Wes to the time that Riker and Co. showed up. I’m trying to remember – do they say something about that? Like the zones change every hour or every 10 starminutes, or something? In any case, it is pretty convenient – if only Wesley had stepped on the grass five minutes later! The whole scene was screwy. As for my ‘grace’ for this episode, I guess it comes from me grading this entire season on a curve. Season one is so steeped childhood nostalgia for me it doubtless colors some of my views.